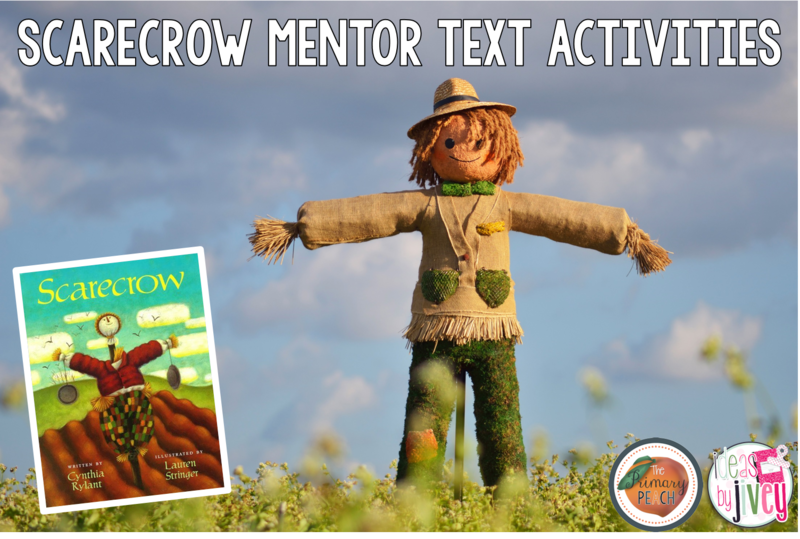 Cynthia Rylant uses fantastic figurative and poetic language to bring this scarecrow to life. Students get to "see" what a scarecrow sees and "feel" what he feels. It's definitely a great book to use when teaching about point of view. Best of all, it's a book that's great for ALL ages! 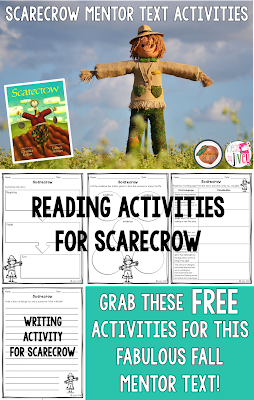 These activities are perfect to use as whole group mini-lessons when using the book, Scarecrow by Cynthia Rylant. This is a very simple book to summarize, so it would be great to introduce the concept for lower grades, or to review summarizing in the upper grades. 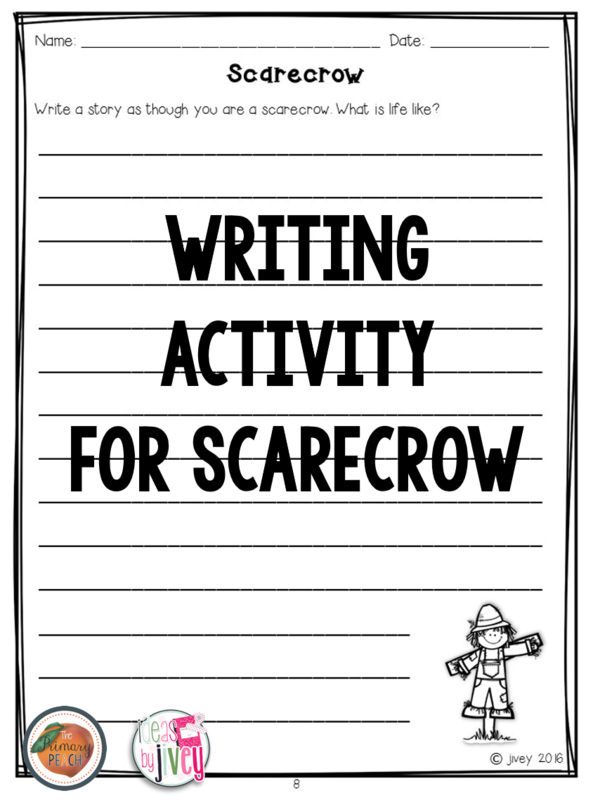 Students can find many pieces of evidence that the scarecrow enjoys his life, as Cynthia does such a great job of showing life from the scarecrow's eyes. As you do a second read of this short book, have students listen and note evidence in the book that shows the scarecrow enjoys his life. Cynthia Rylant uses such beautiful language in this book- allow students time to draw what some sentences from the book help them visualize. This will help them see her craft and will link wonderfully to a writing lesson as well: use "Show Don't Tell" style in your writing! As I mentioned above, use this book to help students see great examples of "Show Don't Tell" writing style, and then try it out in their writing. 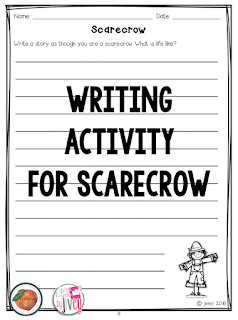 Students can imitate the book, Scarecrow, by writing a story as though they are a scarecrow.